We understand that every school is unique and we help celebrate and reflect that for you in our solutions. The majority of our clients are from education, but we also create amazing work for other sectors too. Wide creative skill base – ensuring consistent designs styles to all solutions. Specialists with vast experience in educational needs and requirements. A friendly team with a collaborative approach and the ability to work with staff and pupils. Our dedicated approach ensures our constant support from initial ideas through to installation. We specialise in transforming areas into vibrant and stimulating spaces. Working closely with teachers, we provide creative solutions that improve the visual environments within the school setting. 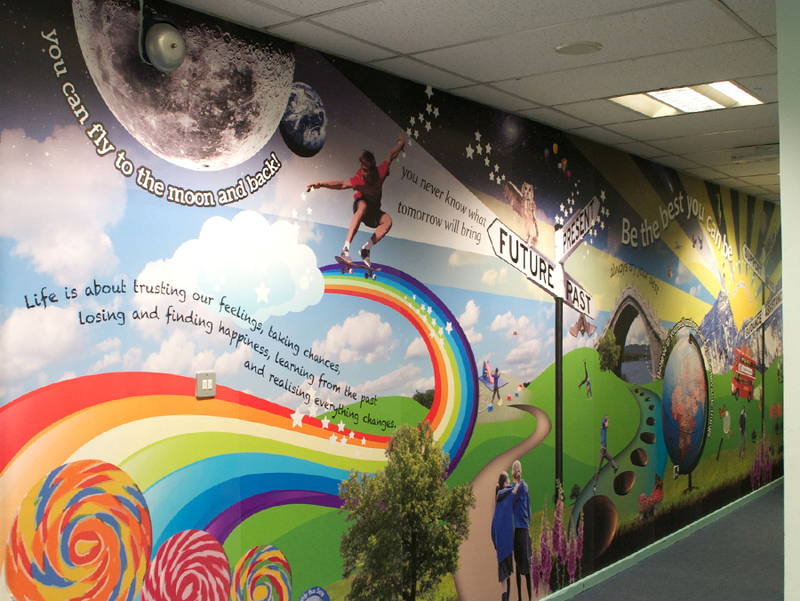 We don’t just decorate walls; our bespoke designs have a purpose, are relevant and reflect the individual schools core values and aspirations. We can work alongside a teacher on a specific project, hold workshops or use pupils existing work to create displays, so the school has ownership of the creation. Using the most up-to-date commercial printing and long lasting materials, we mix creative graphic design with 3D objects and different materials. We pride ourselves in managing projects from the concept stage right through to installation, guiding you throughout the entire process. 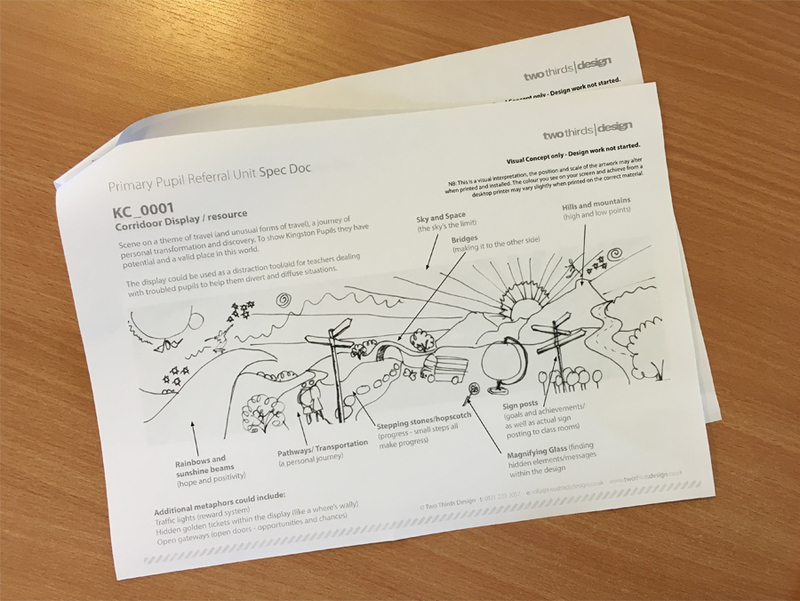 To allow us to be able to create the right design for your school we need to understand what your school would like to achieve. A member our team will come into your school to present our portfolio and provide samples of the types of high quality materials that we use. 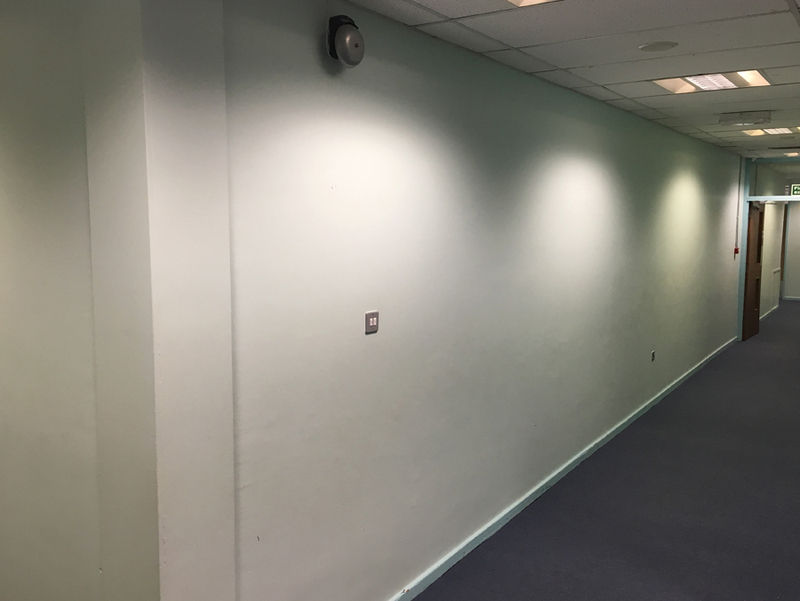 Completely free of charge, we will photograph and take measurements of any internal or external areas you are thinking of regenerating. Then it’s over to us! Back in the studio, we will design a fresh inspiring concept based on your school’s individual needs. We will provide a no obligation, detailed plan of how our team of experts aim to transform each chosen area. This features a range of design options as well as providing a full breakdown of the anticipated costs. If you are happy to proceed- we’ll get you booked in! We can arrange for you to visit one of the schools where we have completed an installation, to appreciate the scale and impact of our work. We understand that schools work to strict budgets. We are flexible and able to work to a specific budget or phase the work over a term or year. If it makes things easier, we can also accept staged payments too.